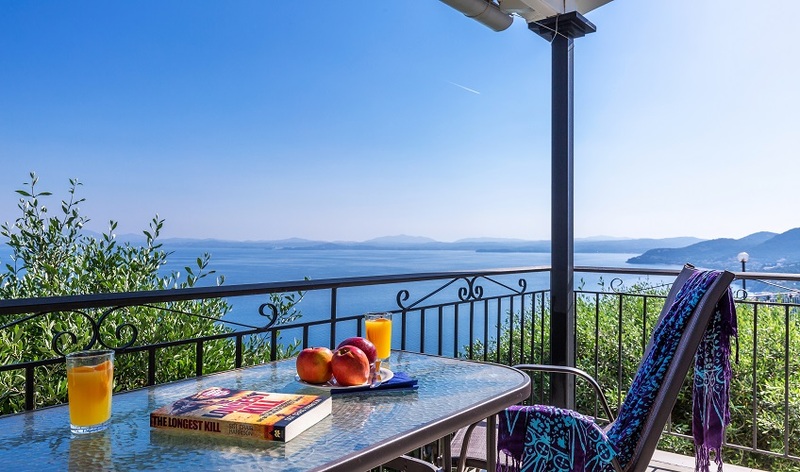 The north east corner of Corfu is a green blanket of cypress trees and olive groves, with villages, hamlets and other small settlements dotted around. 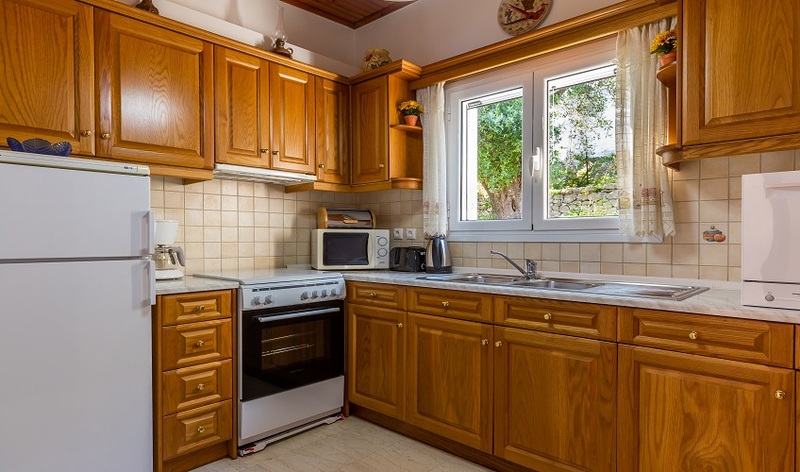 This area is what gives the island its ‘Greekness’ a typically Ionian Island feel, only found on the eastern side of Greece. 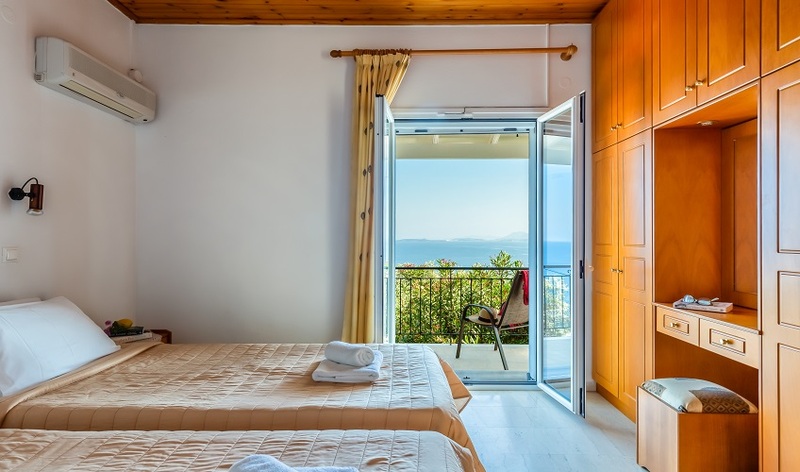 One of the first villages on this stretch of coastline is Nissaki. 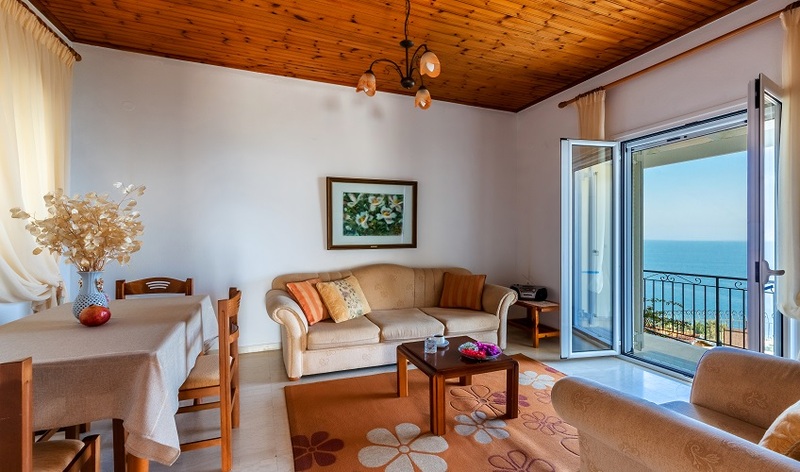 Nissaki means ‘little Island’ and hundreds of years ago that is exactly what it was. In years past, the local people worked on this island shaping stones and local rocks to be used for building. 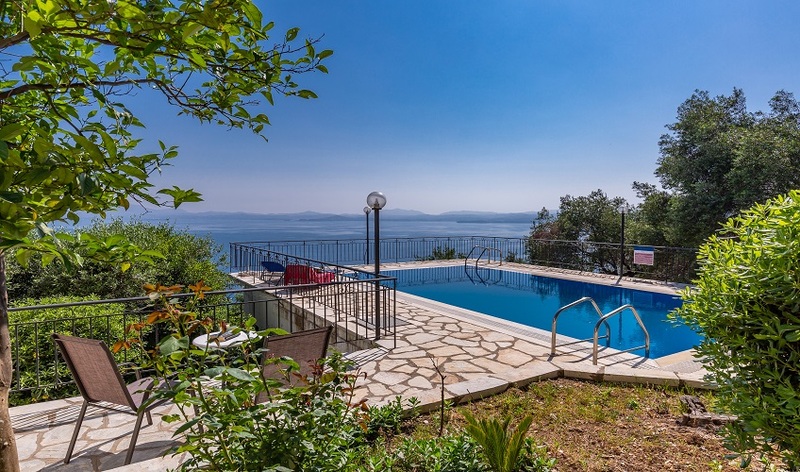 After many years, with the chippings falling into the sea which eventually joined the island to Corfu, forming a horseshoe beach. 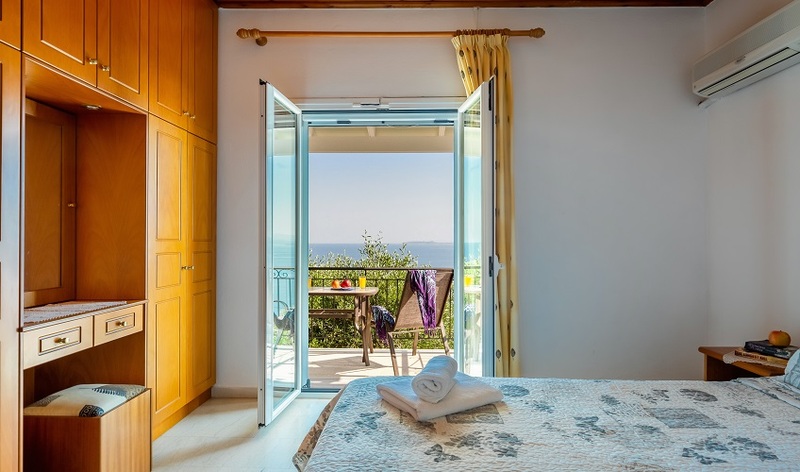 Nissaki is a small quiet coastal village with three tavernas and houses that stretch upwards amongst the tree lined slopes of Mount Pantokrator. 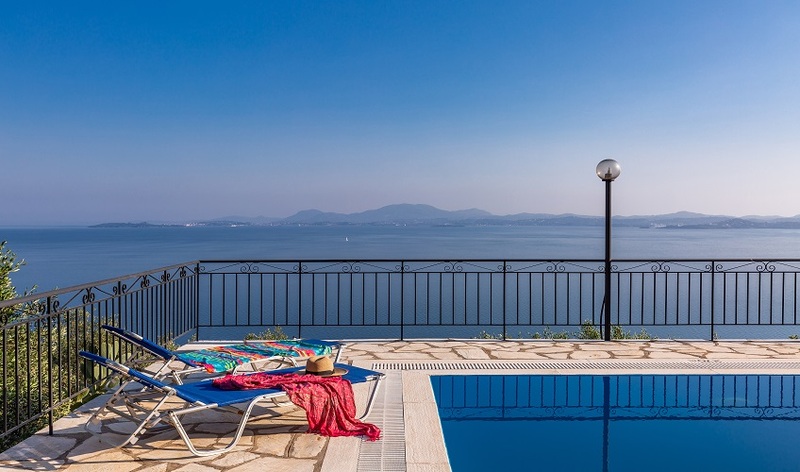 This is where Villa Katina can be found sitting high above Nissaki and with views to match the elevated position. 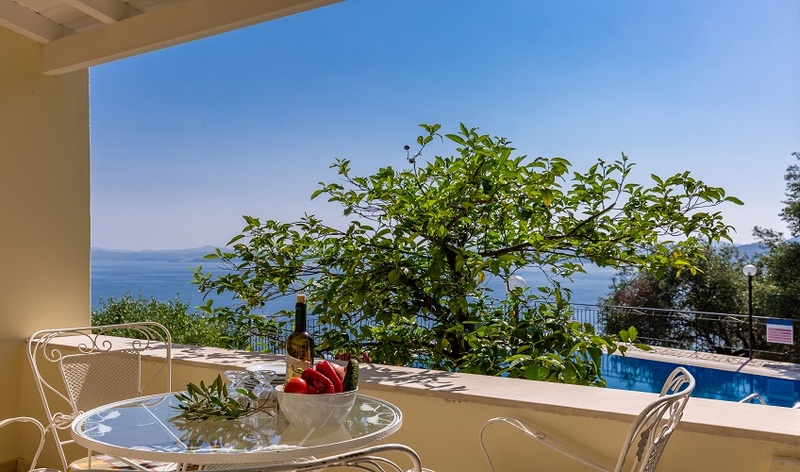 Villa Katina is a two bedroom villa with splendid terraces and gardens that blend in with the lush vibrant landscape. 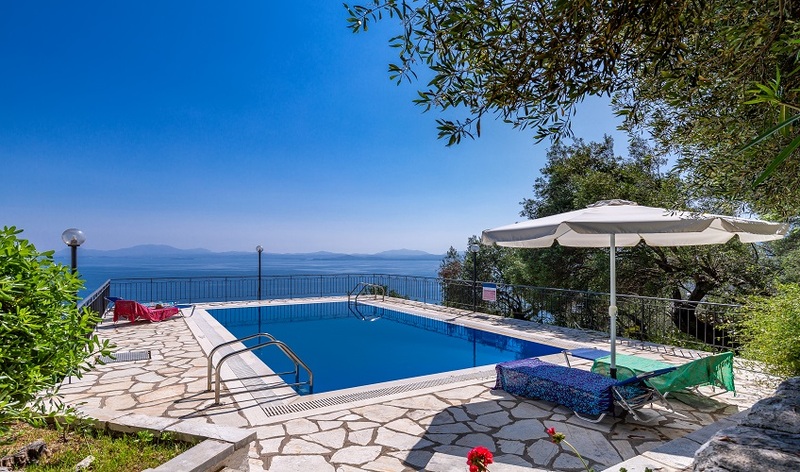 The villa is approached up the hillside from the main coastal road and as you wind around towards the villa you suddenly become aware of the elevated position as you glimpse the stunning coastline of Corfu stretching south. 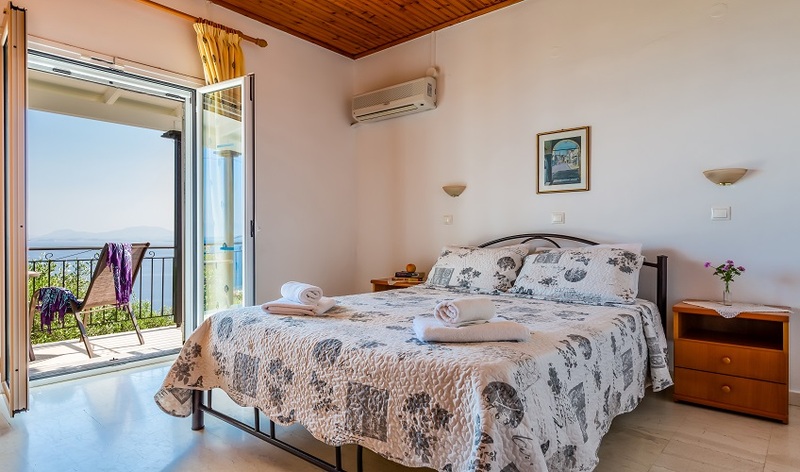 This villa consists of two bedrooms, a double and a twin, both with access to a balcony with sea views. 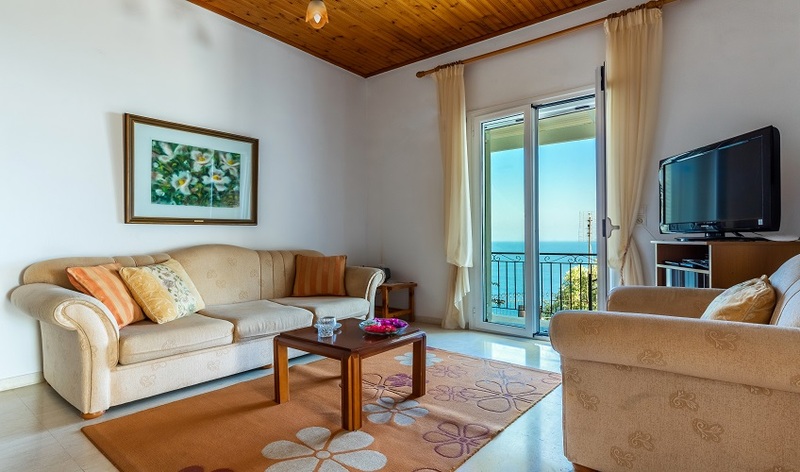 A living room leads down to a wonderfully secluded circular terrace giving fantastic panoramic views along the coastline and across to Albania. 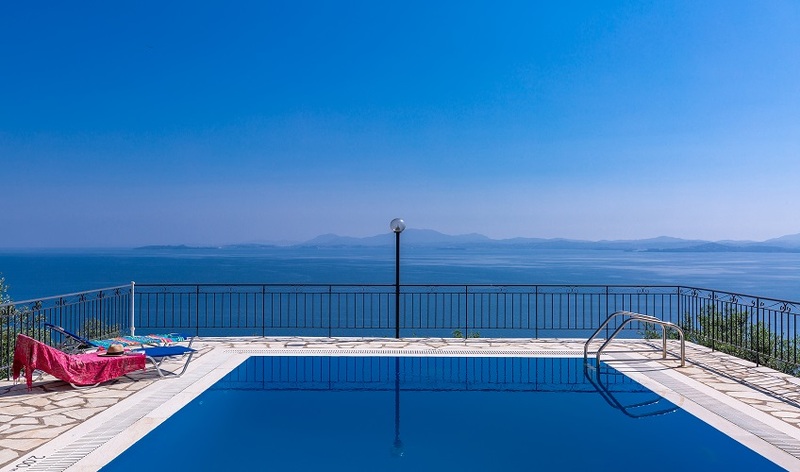 The swimming pool sun terrace to the side of the villa has totally unobstructed views that emphasise the beauty of Corfu’s landscape, with further views across the sea to the mainland, Corfu Town is also visible from here. 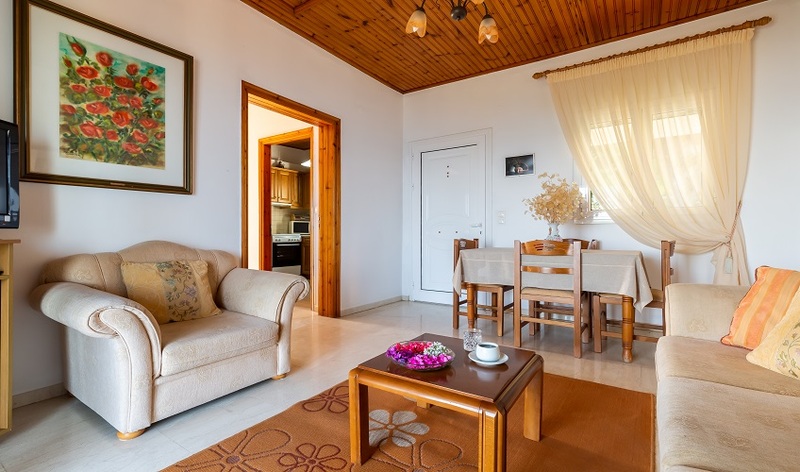 The nearest tavernas and mini markets are just three minutes’ drive downhill, while the tavernas and lovely beach of Nissaki are only five minutes’ drive away. 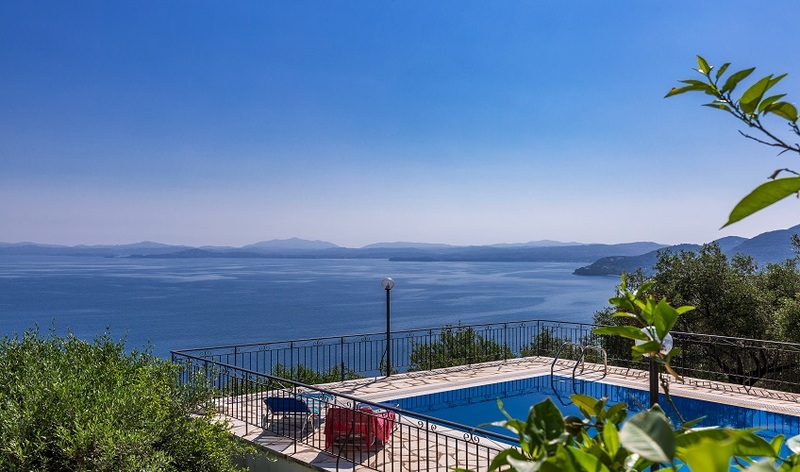 Villa Katina is ideal for couples and families alike with its location and spectacular panoramic views.